There are about 2500 species of snake, to be found mainly in the warmer parts of the world, though there are a handful of species which can be found in the British Isles. Of these, 400 are species of venomous snake. This guide is an introduction to this area of natural history. There are about 2500 species of snake, to be found mainly in the warmer parts of the world, though there are a handful of species which can be found in the British Isles. There are 400 species of venomous snake, though Australia is the only place which has more venomous snakes than harmless ones. This guide is an introduction to this area of natural history. 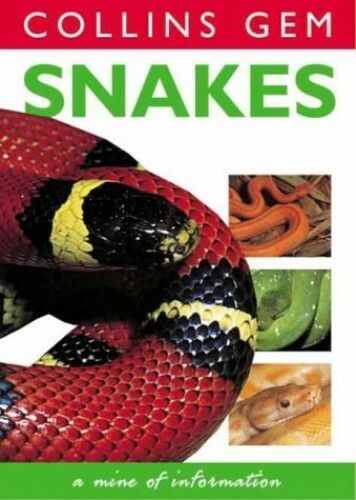 Each entry in the book includes: a illustration and description of each species; details of size, geographical distribution, habitat, breeding and food; and notes on similar species and, most importantly, whether or not the snake is venomous. The introduction covers the natural history of snakes, including information on anatomy, senses, reproduction and defence mechanisms.